Description: In this drum masterclass, acclaimed drummer Blair Sinta shows you how to make your drums sound good in the studio and on the stage. Blair walks you through drum tuning techniques, drum dampening, drum/cymbal selection, stylistic considerations and more. 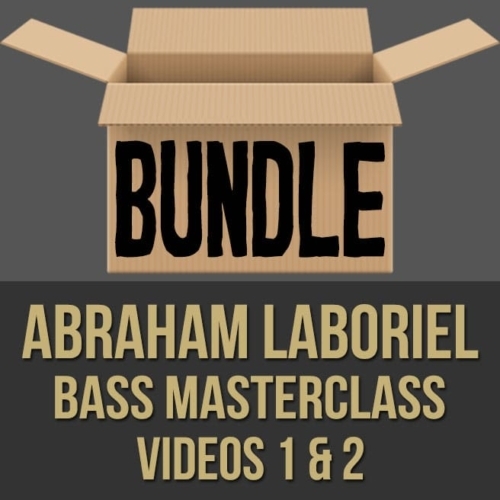 If you're looking to get a variety of sounds from your kit without having an arsenal of drums, this video is for you! 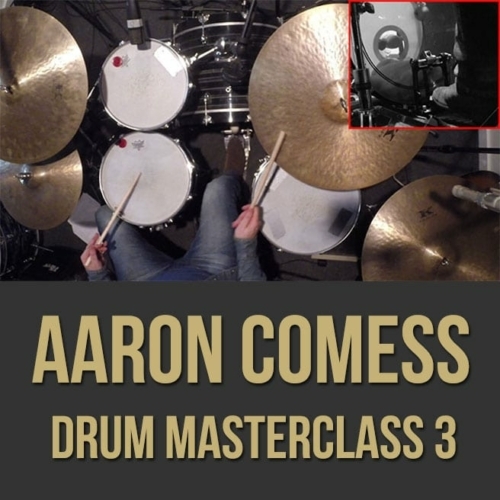 Topics Covered: Working with different drum tunings, dampening drums, playing with “studio dynamics” vs. “live dynamics”, generating multiple sounds from a single drum, getting different snare drum sounds, getting an awesome kick drum sound, choosing the right drums and cymbals for the mix, giving the producer options, changing the beater, etc. Born in Ann Arbor, Michigan, Blair’s father, a world renowned classical saxophonist, and Blair’s mother, a viola player and flutist, introduced Blair to music performance at an early age. 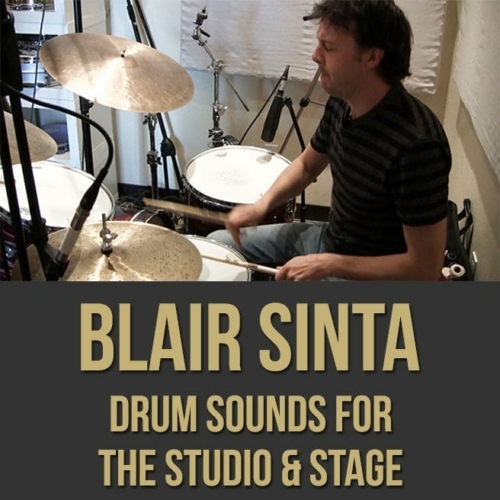 After a few years of piano and a brief stint on saxophone, Blair began playing drums at the age of 12. He attended the National Music Camp at Interlochen for five summers, learning classical percussion formally and drumset on his own. During high school, he played gigs extensively around Detroit. He also continued classical studies with students from the University of Michigan and performed with the Michigan Youth Orchestra. After high school, Blair attended the University of North Texas, where he earned a Bachelor of Music in Jazz Performance. 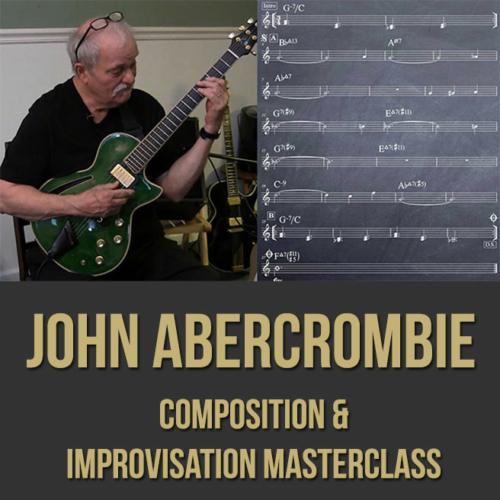 He studied with Ed Soph for nearly four years, and focused his studies in big band, small group jazz, and fusion music. 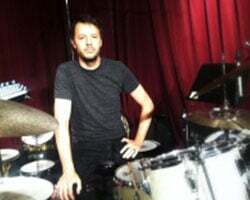 After UNT, Blair headed west to Los Angeles, and began playing both jazz and rock gigs. His first work with a major recording artist was with Alanis Morissette, in 2001. He toured with Alanis for 5 years, and recorded three albums with her: “So Called Chaos”, ”Jagged Little Pill Acoustic” and “Flavors of Entanglement”. In 2006, Blair turned his energies to the L.A. based rock band Pedestrian, while also touring with Damien Rice and working with producer Glen Ballard. 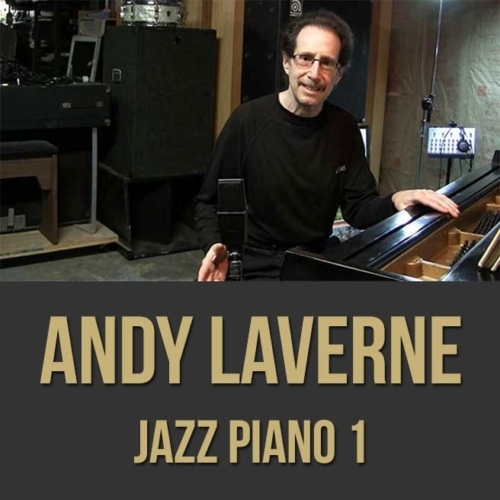 His short list of recording credits include Annie Lennox, Idina Menzel, Melissa Etheridge, James Blunt, etc.